Central Florida Community Arts Cabaret Series Presents. . . Experience an intimate evening packed with engaging storytelling and emotionally captivating performances. 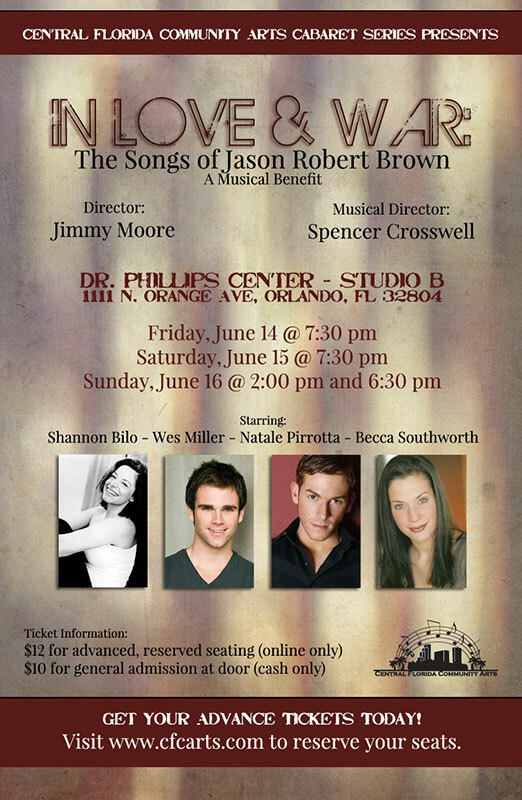 Celebrating the beloved work of contemporary composer Jason Robert Brown, you’ll marvel as four of Central Florida’s most stunning vocalists, accompanied by live musicians, bring to life his music in way you’ve never experienced before. This limited engagement is one weekend only — four performances.